Chrichton's World: Review The Veil (2016): It's not super bad but it is completely pointless! Review The Veil (2016): It's not super bad but it is completely pointless! 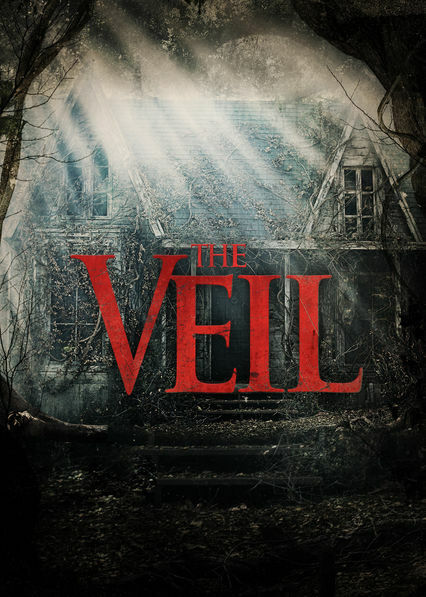 The Veil starts with promise and backs up this promise with some effective scares and ideas. Only it's not leading anywhere worth while. I am sure that the people involved were under the impression they were making some thought provoking horror film. Except they left out the supposed message that could impress the viewer. I normally am very capable of overlooking certain plot developments had the film actually managed to scare the bejeezus out of me but a heavy and dark atmosphere doesn't automatically equal dread. Instead of feeling terror and fear you will be overwhelmed with boredom as The Veil really takes it sweet time to move events along. You hardly care for the people on screen as they are as flat as pancakes. Nothing remotely interesting going on with these characters. Even the designated special person Sarah Hope (Lily Rabe) who serves as a pivotal element into solving the mystery that is presented to us. Is this mystery interesting? Yes, actually it was. Since it is very loosely based on a true story about Jim Jones and his cult. But instead of offering a compelling blend of fantasy and realism we get all fantasy with very little realism. In this case the real life facts would have been infinitely more terrifying than any imaginary fantasies. Unless you somehow managed to make it believable that these fantasies were truly influential on the real events. Unfortunately director Phil Joanou fails to make that happen. For the most part a lot of events are just convenient and vague. Not once did he bother to make the story coherent or believable. Hell, even the majority of his cast lack the conviction or motivation to be there. Very little sense of friendship or comradery going on which would have made me care more about them or at least would have given is a little fun. But there is very little fun to be found. Thomas Jane as Jim Jacobs was solid but if I were supposed to believe that he was scary or terrifying then I missed that. I think he was scarier in The Punisher. I really wanted to like this but every turn the film became more pretentious and stupid that I had to give up on hope for this film to ever redeem itself. So don't bother with this one, it's a major waste of your time.